The Sacred Collection from the artist behind the Blessing Bracelet. For centuries Prayer and meditation practice has been used by people to calm, regroup, heal and spiritually evolve. The Sacred Collection brings this powerful tool to everyday style. 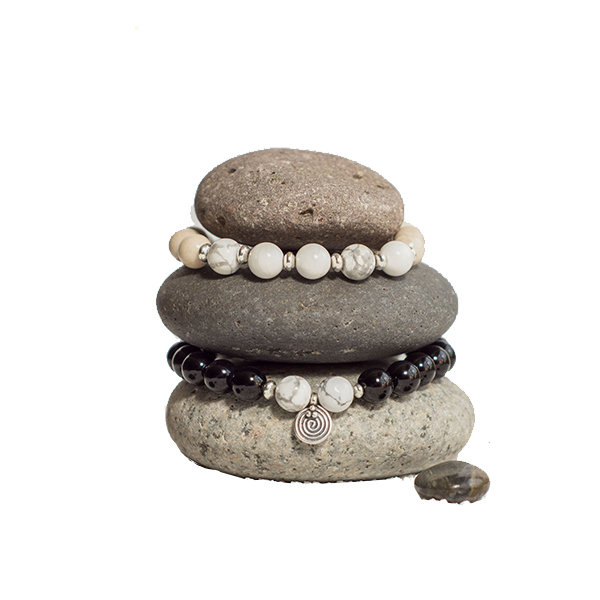 Each wrap or bracelet uses semiprecious gemstones and grounding beads in either sandalwood, riverstone, or onyx with silver plated or brass accents specifically chosen to compliment the mala to create the perfect accessory.